Brace yourself: I’ve been experimenting with biscotti, and this Snickerdoodle version is the first of several you’ll see this year! 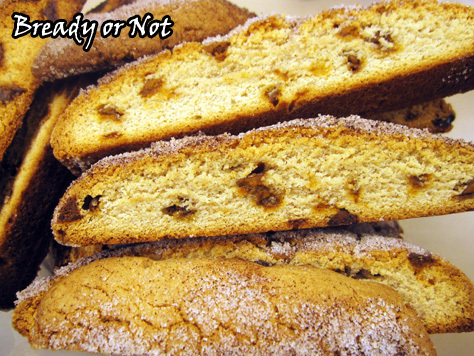 For years, I have said that I dislike biscotti. That’s because the only kind I ever tried came from the grocery store, and it was HARD. Like, “this could break my teeth,” hard. It didn’t help that I don’t drink coffee and therefore had nothing to dip the biscotti into to soften it. Then the Great British Bake Off featured biscotti and my interest was piqued. The bakers made it look easy. Doable. And the fresh version was supposed to be crisp, not teeth-shatteringly hard. I hunted down some recipes. I started baking. I discovered, once again, that the Great British Bake Off abounds in wisdom. 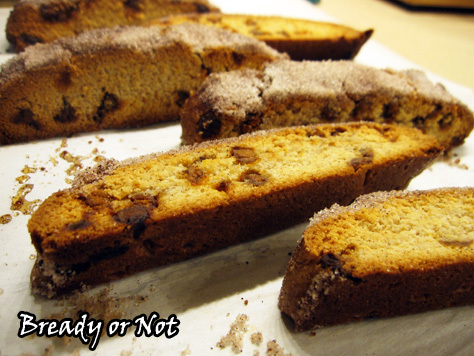 Homemade biscotti is easy and tasty. 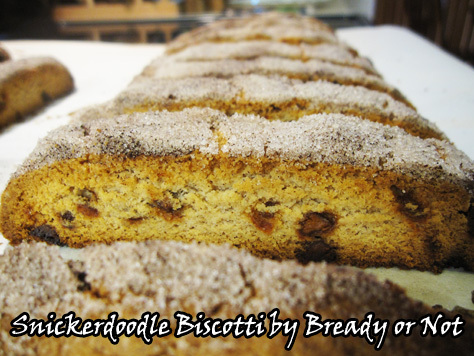 These Snickerdoodle Biscotti are fantastic for Snickerdoodle lovers. 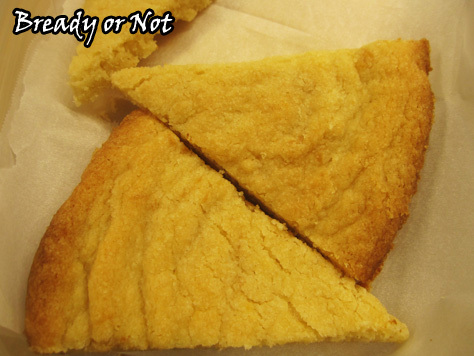 The cinnamon-sugar top makes these even look and smell like the cookie version, and the flavor….! 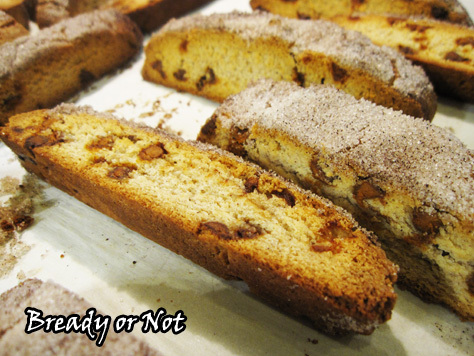 Because these are biscotti, they keep well for a few weeks, too. That makes these great to stash away or to even ship across distances. And even if they go stale, I bet you they are still a million times better than the grocery store version. Modified from Brown Eyed Baker. 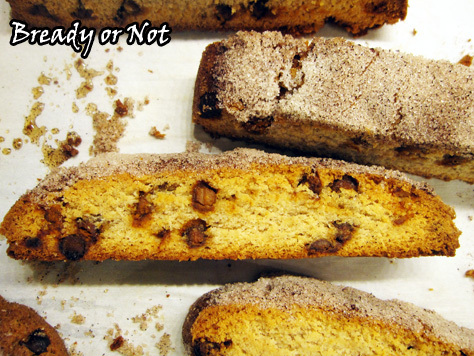 These Snickerdoodle Biscotti are easy to make and stay delicious for weeks. With a cinnamon-sugar top and cinnamon chips throughout, these twice-baked cookies are pure happiness for the Snickerdoodle lover in your life. Preheat oven to 375-degrees. Line a baking sheet with parchment paper; set aside. In a medium bowl, whisk together the dry ingredients: flour, cinnamon, baking powder, cream of tartar, and salt. In a large bowl, cream together the sugar and butter on medium speed until light and fluffy, 3 to 5 minutes. Scrape the sides of the bowl often. Add the eggs, one at a time, followed by the vanilla. Gradually add the dry ingredients, mixing just until a dough forms. Finally, mix in the cinnamon chips. Mix together the topping ingredients and sprinkle over both dough logs. 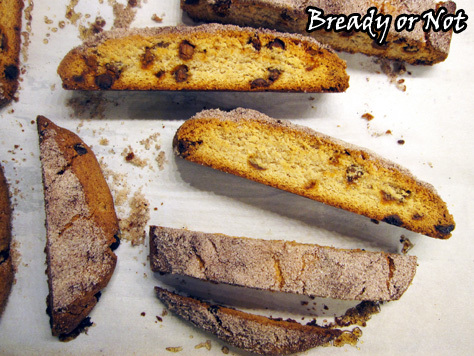 Bake about 25 minutes, until the biscotti is lightly browned with small cracks forming across the top. Remove the baking sheet from the oven, but be sure to leave the oven on. 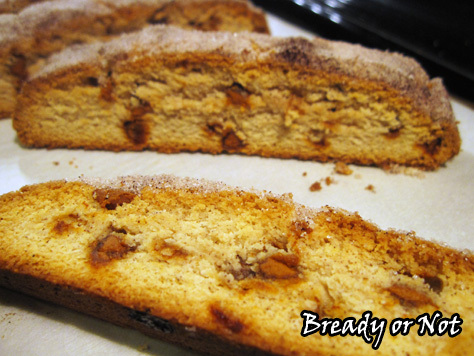 Arrange the biscotti spaced out on the baking sheet. Stand them up if possible, or lay them on their sides. 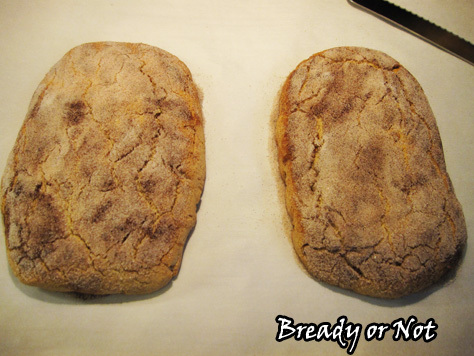 Bake for another 15-20 minutes, flipping them over halfway if necessary, to equally crisp both sides. 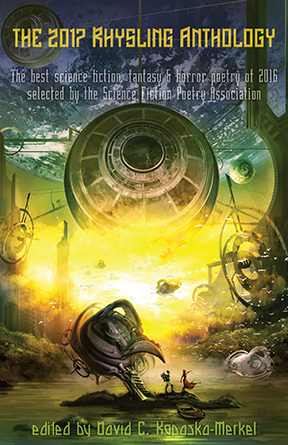 That’s right, Breath of Earth is on sale! Grab it for a mere $1.99 and read it and be ready for the release of Call of Fire on August 15th. 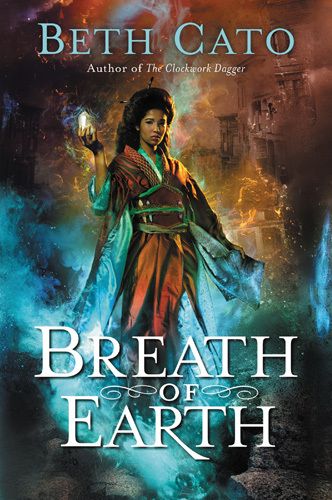 If you already own Breath of Earth as an ebook or in print… THANK YOU! If you want to give the ebook as a gift, that’s easy to do. Amazon offers detailed instructions. 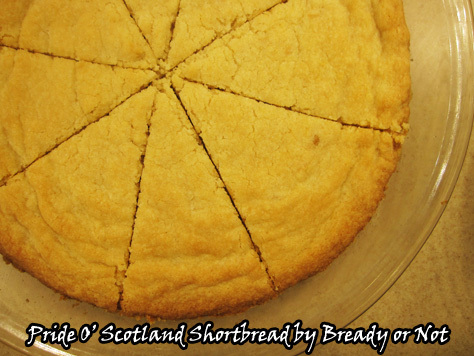 The day after my anniversary, it seems only right to share the shortbread recipe I made for my husband the first day we met: Pride O’ Scotland Shortbread. Back in those dark ages before widespread internet shopping and Cost Plus World Market, my family was only able to obtain shortbread once or twice a year–at the Fresno Highland Games, and maybe at Christmas. Those red boxes of Walker’s Shortbread brought us great joy. 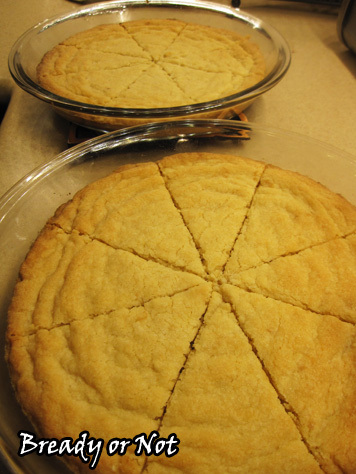 So when I found this recipe and my relatives declared that my shortbread was BETTER than Walker’s brand… whoa. I felt like I’d made something magical. Maybe I did. It helped snare me a husband, after all. 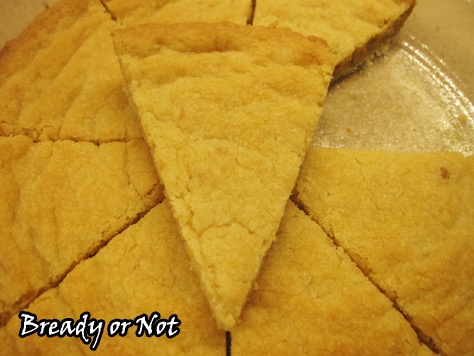 This recipe produces two pie-rounds of firm-yet-soft and buttery shortbread. The wedges will keep well for a few days in a sealed container. Modified from the Beta Sigma Phi Cookbook from 1968. Preheat oven at 375-degrees. Grease two 9-inch pie pans. Place dry ingredients in mixing bowl; add butter, egg yolk, and vanilla. Mix with fingers until dough holds together. Divide dough into two balls and press each ball into a pan. Flatten evenly with palms; prick surface all over with floured fork. Slash into wedges. Bake for 17 to 22 minutes, until the edges are golden brown. Remove from oven. 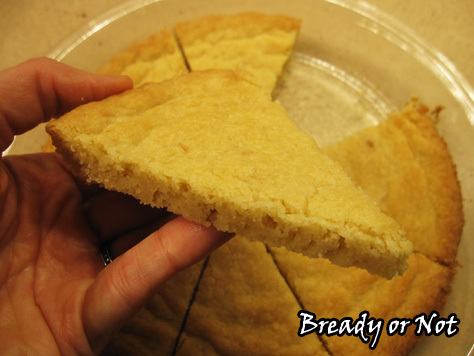 Immediately cut again following slash marks and carefully run the blade around the edge of the crust to loosen the shortbread. Let shortbread cool. Cut again along slash marks and the crust, then remove wedges to eat. 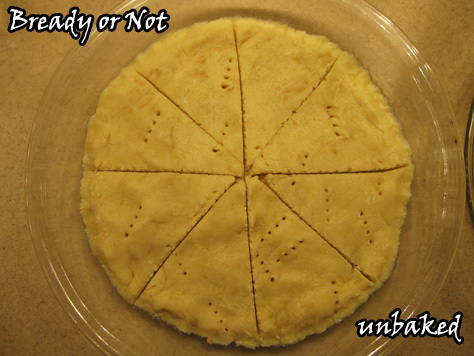 Shortbread keeps in sealed container for several days.